Child Care Subsidy: Simon Birmingham answers questions on scheme. Simon Birmingham answers all your questions about the new child care subsidy. What is the new Child Care Subsidy? The new Child Care Subsidy is the cornerstone of the New Child Care Package, which is one of the most significant changes to the child care system Australia has seen in the last 40 years. As part of the Turnbull Government’s commitment to improving early learning and child care services for Australian families, an extra $2.5 billion has been committed to improving the outdated and frustratingly complicated existing system. How is the 2018/2019 Child Care Subsidy different to the existing child care payments? Under the New Child Care Package, the current Child Care Rebate and Benefit will be replaced by a single, simplified Child Care Subsidy. From 2 July, three things will determine a family’s level of Child Care Subsidy. The first is a family’s combined annual income. The second is the amount of activity each parent undertakes including how many hours they work, study, train or volunteer. Finally, the type of child care service a family uses will determine what Child Care Subsidy hourly rate cap will apply. One of the major benefits the New Child Care Package will bring is the removal of the annual subsidy cap for the approximately 85% of families earning $186,958 or less a year. For families earning above this but below $351,248, the cap will be increased from the current $7,613 to $10,190 per child. How will this new subsidy affect low and middle-income earners? The New Child Care Package has been designed to offer more support than ever before to low and middle-income families. Under the new arrangements, child care will be more affordable for the majority of Australian families, with most lower and middle-income families to be the greatest beneficiaries. As mentioned, the removal of the annual subsidy cap will relieve significant cost pressures for those who traditionally hit the cap months before the end of the financial year. "Child care will be more affordable for the majority of Australian families." Image: Getty. What do parents need to do to be eligible to receive the Child Care Subsidy? Parents who currently receive child care fee assistance will not automatically roll over to the new system on 2 July. To make the switch, they need to log onto their Centrelink online account through myGov and complete a Child Care Subsidy assessment. I urge all families to complete this process now to ensure a smooth transition to the new subsidy. For families who are planning on using child care in the near future, they will also need to complete a Child Care Subsidy claim through their Centrelink online account before their child starts attending care. How many families are left to make the switch? As at 29 June 2018, nearly one million families across Australia have already made the switch to the new system. For the small portion of families who have not yet completed their assessment, they must do so to avoid disruptions to their child care fee assistance from 2 July. What should families do if they have any questions about the assessment process? If families are unsure about what they need to do, I encourage them to visit education.gov.au/childcare. Here, they will find a number of resources and guides to help answer any questions they may have and to help them through the process of completing their Child Care Subsidy assessment. How will families find out about the results of their subsidy assessment? For families who have completed their assessment, they can now view the status of their application by logging on to their myGov account. To view their outcome, all you need to do is click on ‘Child Care Subsidy Summary’ which will be found in the main menu. If your outcome is not there yet, your details may still be in the process of being assessed. Families will also receive an assessment notification from Centrelink. What should families do if they’ve completed their assessment but their child care centre hasn’t registered or completed everything they need to do? I am delighted to say that the majority of eligible child care services across the country have taken all the necessary steps to prepare for the 2 July transition date. The Department of Education is personally working with a small number of services to assist them to have transitioned over for 2 July. Is there any way for families to update their assessment details if something changes? I understand that family circumstances change all the time. So, whether you’ve picked up some more hours at work or changed child care services, your details can be easily updated online at any point through myGov to ensure your family is receiving the most accurate amount of subsidy. Families can estimate what their new Child Care Subsidy might be by going to the Payment and Services Finder. Another message from the Minister. Nearly 1 million families are set to be better off under the Turnbull Government’s New Child Care Package. For those who have switched to the new system, the typical eligible family that uses child care for 28 hours a week throughout the year could be around $1300 better off a year per child. If you are one of the few families who are yet to complete your Child Care Subsidy assessment, I urge you to log onto myGov now to complete the assessment. For those families who are still uncertain about the process, I want to reassure you that the assessment shouldn’t take any longer than 10 minutes. This is your chance to receive more support and give your child the best start possible to early learning. For more information about the Child Care Subsidy, visit education.gov.au/childcare. 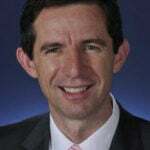 Hon Simon Birmingham is the Minister for Education and Training.